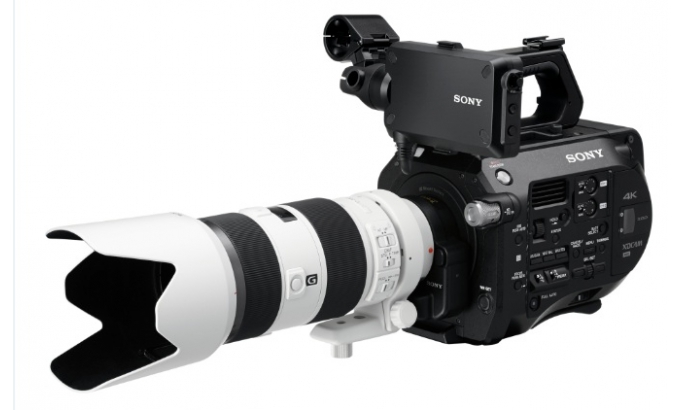 Sony has today launched the PXW-FS7, the first 4K XDCAM camera to feature a Super35 CMOS sensor. Capable of shooting in 4K Quad Full HD (QFHD) and super slow-motion Full HD, the latest member of the XDCAM family has been designed for documentary, music video, online content creators and corporate filmmakers looking for beautiful picture quality and an unrivalled choice of recording formats. The 11.6 million-pixel Super35 ‘Exmor’ CMOS sensor within the PXW-FS7 delivers stunning sensitivity, shallow depth of field, a high signal-to-noise ratio and fantastic low light performance. The camera has the ability to record QFHDi with 4:2:2 10-bit sampling up to 600 Mbit/s, with support for a variety of recording formats including XAVC Intra, Long GOP, MPEG HD422 and Apple ProRes 422 available early 2015 by firmware update. The new camera has been purpose-built to provide a versatile range of creative shot options while sitting comfortably on the shoulder, even after hours of operation. The supplied grip, easily adjustable viewfinder and fully-sealed, die-cast magnesium chassis have been designed to provide robust usability in dusty or humid environments and for ‘run and gun’ applications. 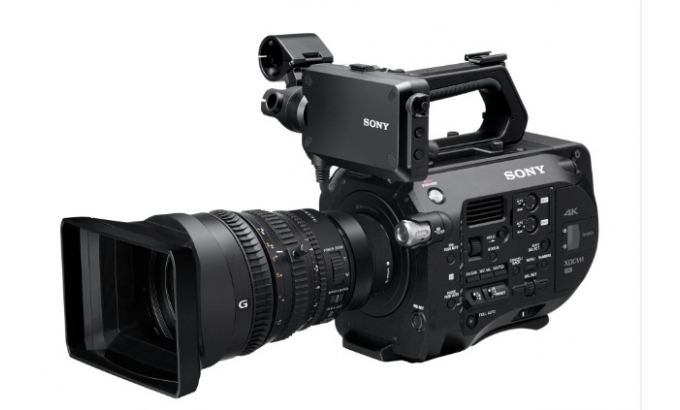 The PXW-FS7 features Sony’s revolutionary α Mount System, which benefits from Silent Focus Technology and Electrical Iris Control. Sony has also launched the PXW-FS7K, including the brand new powered zoom E-Mount lens FE PZ 28-135mm F4 G OSS (SELP28135G), ideal for the requirements of today’s video production teams. Customers also have the flexibility to use other lenses with a 3rd party adaptor. • Super35 ‘Exmor’ CMOS sensor with 8.8 million-effective pixels. The PXW-FS7 is able to capture great image quality without needing significant lighting support. It has high-speed image readout characteristics, such as 240 fps while recording 2K RAW on an external recorder, responsive sensitivity (ISO 2000) and a high signal-to-noise ratio. The PXW-FS7 supports QFHD up to 60 fps at launch, with an upgrade to 4K 4,096 x 2,160 resolution due to be made available in early 2015. • Flexibility across recording codecs. The PXW-FS7 is compatible with Sony´s new XAVC Intra and XAVC Long GOP formats, each supporting 10-bit 4.2:2 recording for Full HD recording. Recording in QFHD resolution, SlowMotion up to 180fps or even Full High Definition with 60/50 progressive frames is possible. 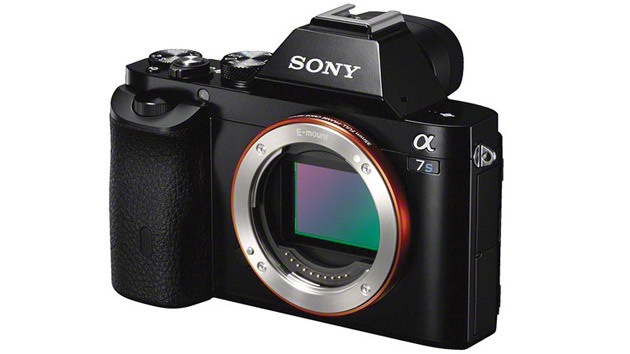 By using the optional extension unit XDCA-FS7, the PXW-FS7 is capable of natively recording in Apple ProRes 422 codec, planned to be available in early 2015 by firmware update. In addition, thanks to the XDCA-FS7’s Raw interface, the PXW-FS7 is capable of 4K/2K Raw recording with Sony’s HXR-IFR5 and AXS-R5, or with a compatible third-party external recorder. • A vast range of creative choices. The PXW-FS7 features 2 XQD card slots that support simultaneous recording and relay recording. The camera includes a low-pass video filter, progressive pixel reading and advanced camera processing, enabling a broad span of creative treatments, and benefits such as high speed recording, high resolution, high sensitivity, less aliasing and less rolling shutter. To support FS7’s S&Q motion and internal 4Ki recording, a new XQD G series with ultra-high speed transfer up to 400MB/s (read) and 350MB/s (write) has been developed. The XQD card G series is designed specifically to further enhance the PXW-FS7 workflow. In parallel, the camera’s built-in ND filters offer exceptional shallow depth-of-field, allowing users to further expand their shooting styles without requiring external ND filter equipment. S-Gamut3/SLog3 & S-Gamut3.Cine/SLog3 are supported for flexibility of post-production options. • Easy mobility and choice of shooting style. Sony has also today introduced the VCT-FS7, a light-weight rods support, featuring 15mm rods and an adjustable shoulder pad. This enables the use of additional Matte boxes, the easy attachment of Follow Focus systems or of an external recorder. In addition to the on-shoulder operation, the PXW-FS7 can also be set-up on a tripod and as a handheld camera. The supplied handgrip provides easy access to relevant functions. • αMount System enables auto exposure and SteadyShot stabilization during shooting. The PXW-FS7 uses the E-mount lens system and comes supplied with a new E-mount lens FE PZ 28-135mm F4 G OSS (SELP28135G), which is the world’s first 35mm full-frame interchangeable power zoom lens i.. The new E-mount powered zoom lens features constant F4 value, independent rings for Iris, Zoom and Focus control and is dust and moisture resistant. The SELP28135G has steady shot stabilization, minimum focus breathing and is enabled with Sony’s new SSM (Super Sonic wave Motor) to reduce zoom and focus noise while shooting. Furthermore, Sony’s optional LA-EA4 A-mount lens adaptor allows compatibility with a wide range of high-quality A-mount lenses, benefiting from the PXW-FS7’s auto-focus function for quick and convenient operation.